And he is quite right. The 1000 copies of the disc are barely selling. Radio stations which played a crucial role in disc promotions at that time, showed very little enthusiasm, and it in no way encouraged the CBS to action. Monique Le Marcis from the Radio Luxembourg and Lucien Leibovitz from the Europe Un are the only DJs to include Joe's songs to their play lists. Almost at once they felt this great potential that Joe seemed to have. The spirits are especially low in March and April. But Joe who was reluctant to start career of a singer some months ago, now little by little gets sucked into the game. He refuses to accept the flop and seeks recognition as a performer. So, he decides to get everything started over again with the CBS. From May 7 till 14, Joe returns to the recording studio with the same Oswald d'Andrea. Three recording sessions bring four songs - all cover versions - for the second EP (Extended Play). Having been published in June, the disc is released in 2000 copies. These latter are launched to the market as the promo record is sent to the radio stations in July. But nothing happens, the summer hit belongs to the others. Two successive failures push Joe to fully concentrate on his future career. He runs from publisher to publisher looking for cover versions for his third try which has to be good. By the end of the summer he gets "his" hit, "Shame And Scandal In The Family", an all-American success, the French version of which he proposes to create. The CBS director has his doubts… Too late! Sacha Distel who has just signed a contract with Pathe-Marconi is in need of musical material and records the song. The Surfs, who are also looking for the second blow with the Festival Recording Company, do the same… As a result, both are a huge success and Joe, enraged, threatens to change the recording company. Joe's results are poor, but the CBS France does not achieve what was expected from it by the CBS-USA, either. So, the New York direction decides to appoint a new chief of the French subsidiary. Jacques Souplet, chosen to fill the vacancy, used to work for Barclay. His first decision spells death to the existence of the office on rue Paradis. The organisation, which will later on become one of the biggest French recording labels, settles in a mansion in district XVI, 3, rue Freycinet. Joe decides to watch how this new team that promised him to take care of his career is getting on. The new recording session is scheduled for October 21 and 22. Joe knows that it will be either sink or swim. Either the disc is a success or a failure - in any case something has to be done. On his third EP Joe rounded up the best cover versions he had ever expected to get. At those times the publishers kept their best tunes for the stars such as Johnny and Cloclo. Joe and other newcomers had to be contented with what was left. Rivat writes French lyrics for two Cuban songs popular in English-speaking countries at that time. Soon after the recording sessions, from November 5 till 9, they release 4000 copies of the EP followed, by 1300 promos on November 19. And, thank God, the radio stations give it a warm welcome. About 25000 copies are sold. Even if Nana Mouskouri and Les Compagnons de la Chanson who also work under the CBS trademark have better sales figures with their versions of "Guantanamera", the success of the other tune - "Bip-Bip" - belongs solely to Joe. It doesn't even matter that Joe is more often heard on the radio than in the music stores. So, a gigantic step has just been made: Joe's name has become known. Jacques Souplet fills out the CBS stable, signs new contracts and doesn't have any spare time to take care of Dassin. But he realizes that this latter needs a good producer, someone who could "manage" him, give him advice. And Jacques seems to have an idea… There is a genius of a producer who has recently freed himself from a contract. Even more, it looks as if he were Joe's kindred spirit. Like Joe, he is fond of jazz, he studied law and he knows America and the Americans quite well. As for his professional skills, he had released the first French discs of Dizzy Gillespie and Charlie Parker, he had worked for Pathe with Aznavour and had launched in France the Capitol trademark before he became the artistic director of Hallyday and Gainsbourg at Philips. After all, he was the first ever independent producer at Philips and "made" Sheila with Claude Carrere. From September 13 his contract with the latter expired and he is free. It would be a shame to waste such a chance. Souplet knows that Jacques Plait is a man of situation. The only thing left is to persuade him to take charge of the process. Two Jacques meet and agree on a possibility of an independent production at CBS for Plait. Everything is all right but one thing… Plait has to find common ground with Dassin. A "business lunch" is fixed for the end of the year. Being a professional Plait is really worried to meet one more "father's son". Dassin fears the worst and cannot imagine being managed by anyone. On December 31, during the historical lunch with cheese and coffee the decision is made. Not without some natural rebuking movements from each contracting party. Anyway, Plait explains, Dassin listens, Souplet freely enjoys the process. The common ground is found. And the history is being made. After lunch, Jacques Plait, coming back to Sceaux, drops Joe at his place on Boulevard Raspail. They seal the contract with a handshake and a smile. And there will be no other. But the problems are far from being over. Jacques Plait has to find an orchestra conductor acting simultaneously as an arranger. Plait is offered three names and three telephone numbers. He makes calls - the first man is absent, the second one answers - it is Johnny Arthey - and the third one will never know what opportunity he missed. One cold winter day of 1966 Joe and Jacques take plane to London and call on Arthey who works for Feldman Music publishing company, 64, Dean Street in Soho. Very fast Jacques and Joe realize that they have to deal with a typical English eccentric. They present him the tunes to be rearranged. Dealing done, Arthey grasps what sound they want for the disc. And from now on he becomes the first and the only Joe's studio arranger. For good. This gray day in the beginning of March Joe is feverish. In the Lansdowne Recording Studio in London Arthey's musicians do the record in the key appropriate to his low baritone. Some days later in Paris Joe records vocal parties in an ancient disused movie theater - the Davout Studio - one of the first French independent studios. These March days "You Were On My Mind" becomes "Ca m'avance a quoi? ", the headliner of the fourth disc. Souplet acts promptly and releases the disc in April. The vinyl is released as EP and as a 45 single. 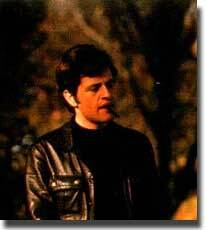 During the same 1966 Joe starts to work for Radio Luxembourg performing the "Western Story" series. By the way the trio Rivat-Plait-Dassin enjoys cutting capers. They invent a certain Edouard who sings "Les hallucinations" teasing especially Antoine with his "Elucubrations". Edouard, with his questionable "a la protest song" appearance is the same old chap Rivat disguised in a longhaired wig and Bible-prophet beard. The star takes the abuse into the court, wins and the EP has to be withdrawn. The second Edouard's single goes into sales, then the third one, but the biggest ever hoax of French show business is quickly forgotten. On the other hand, this summer turns out to be successful for Joe. "Ca m'avance a quoi?" goes well on the radio and by September there are talks about the first album. Meanwhile, the market is awaiting a new disc. This time it will be a single with two songs, the kind that is used for jukeboxes. A great novelty for the French music market, indeed. From the very beginning of the vinyl disc business in France the recording companies released only the four-songs EPs as it was more profitable. Feeling the weakness of the market Souplet decides to launch a "commercialized" single like in English-speaking countries. First of all he wraps the disc in a cardboard full-color jacket. This will become the beginning of the Gemini series. 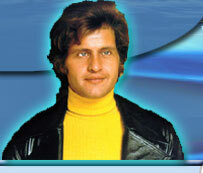 Joe Dassin was one of the very first CBS' French-singing performers who had tested this know-how. And it worked out. Three years later the rest of the recording companies followed the CBS example. On October 12 and 20, Joe records two songs in Davout - the second version of "Guantanamera" and a traditional American tune "Katy Cruel". This single has to let Joe's team work till the Christmas holidays when the album release is planned. But all of a sudden the French musicians go on strike. Plait decides to take refuge in a British studio. All for nothing, the perfidious Albion has already given up to the strike movement. There is only one solution left - to do the record in New York. Jacquot doesn't dare to believe what Joe merely dreams about. But Souplet gives it a green light and on October 27, a plane takes off from Orly to New York. Two men (and their wives, Maryse and Colette) armed with a huge arsenal of songs are on board. The recording sessions take place in the studio on 30th Street with Stanley Tonkel as a sound director. Seven tunes are recorded on October 31 and November 3 and 4. After the sessions Joe takes an opportunity to show "his" country to his friends: Empire State Building, Madison Square Garden, Broadway… and the most impressive of all monuments - the CBS Building on 52nd Street. They come back late - Joe and Maryse to Bea's place, Jacques and Colette to Waldorf Astoria. But the small team has yet another important task - take pictures of "Joe in New York" for the album jacket and especially for the media who will certainly enjoy the image of a handsome American in Paris who records his songs in his home town. Don Hunstein takes dozens of imprints. One of them - the one where Joe is leaning on somebody's Harley Davidson is taken in front of the Time Life Building. 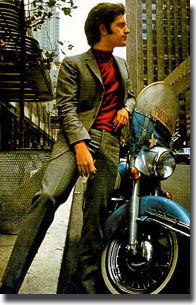 This "Joe's Harley" will appear on the front side of the album jacket and will become a dream of an entire generation. The last glance cast at the Kennedy Airport and the plane takes off for Paris. The CBS decides to release the fifth EP along with the first LP (Long Play). The first appears on November 17, and the latter on 18. The success is almost immediate. "Excuse Me Lady" is a Christmas hit and the sales figures begin to rise. In January, Andre Salvet and Bernard Chevry create the MIDEM. The professionals who believe in this project are few. But Plait who knows Salvet and owes him a lot decides to support the idea. He shows up at the presentation together with Joe, Maryse and Colette. The little company settles on a yacht anchored in a marvelous old port of Cannes. The journalists swarm at this first rendezvous of the world show business but there are very few real stars and Joe is a favorite target of the press. What can be better than to wrench an interview out of Jules Dassin's own son in the world capital of cinema? But Joe realizes that this game is far too risky for him. At this time he prefers to avoid being mentioned in the newspapers and limits his performance to the presentation of the first MIDEM awards. But anyway, even if he does not sing, a handsome guy conducting the show with such ease - and in two languages, no problem! - is noticed in the media almost at once. Next morning, from an "upcoming star" Joe turns into the Star. "Excuse Me Lady" goes well enough but one has to think about the next hit. Plait does nothing but turn in mind the idea of a song which will let them go much further. One morning on the yacht Dassin gets ready to slink to the shore, his guitar in his hand. Plait, extremely surprised, wonders what is happening. Dassin explains that he wants Henri Salvador to listen to a tune composed by Joe himself, Jean-Michel (Rivat) and Frank (Thomas). Joe says, this is not "his" kind of song. Curious Plait wants to be the first to listen to the new creation. Joe does not consider it to be wise. The two men confront. Minutes are passing. Plait wins and Dassin sings leaning on the guard railing: "Tagada tagada, voila les Dalton, tagada tagada 'y a plus personne…" Jacques is pale as a sheet. Joe still does not understand. But the fury in Jacques' eyes provokes one of his outbursts of anger: "Never in my life! I refuse to sing it! This song is not for me…" Plait who has already grabbed his hit does not intend to let it go so easily: "I forbid you to give it to Salvador!" And so on and so forth. Finally Joe surrenders, he will record the "cowboy song". For the first and the last time, according to the contract. There is only one obstacle left: the touring, which is one of the main components of promotion. Joe meets an impresario Charley Marouani but doubts the outcome. His stage experience is short and not very pleasant. The terrible failure of his concert in Brussels in 1966 caused by unprofessional performing of the local orchestra is still fresh in his memory. To cut it short, Joe is terribly afraid of any public performances. Charley Marouani makes him change his mind and proposes him to participate in the first part of the Adamo concert. That's a deal. On March 9, the tour debuts in Vire. Very fast Joe wins recognition of both public and the tour manager Georges Olivier who raises his fee. Between two galas, in April, Joe and Jacques are again in London where they record four songs for the sixth EP. Some days later they are back in Davout studio for vocals recording. But "Les Dalton" turns out a real impediment. As an English singer fails to pronounce the sheriff's part from "Les Dalton" intro, Jacques Plait grabs the mike to show him an example. One, two, twenty times. The tape recorder reels are turning, Plait is reciting, the Englishman is stammering. The situation becomes ridiculous. Jacquot delivers his speech such fervor that Joe and the sound director, dead of laughter, decide to keep this version. Jacques cannot even imagine that the innumerous TV broadcasts and a single Dassin's scopitone session are waiting for him. Meanwhile, Joe wants to place "Viens voir le loup" on the side A of the new disc. But Jacques refuses to surrender. The saga of Lucky Luke's four sward enemies of is a huge hit and must be on the side A. Lyrics of one of the two other songs on this EP belong to Claude Lemesle. Joe met him during a concert of young talents at the American Cultural Center situated in front of his house on Boulevard Raspail. It was a nice summer evening and Joe went to the Center looking for a banjo player. He did not find his banjo player but a female singer, Michele Cherdel who later on would become Vava from "Big Bazar". At the same time he found a co-author and a friend. Joe just looked down at Lemesle from his short-sighted 1m 86 and said with shy kindness: "I really liked your songs, mister. Would you and your friends like to have a drink at my place? I live nearby…"
After Rivat and Thomas, Lemesle was the third parolier who joined the Dassin adventure. For good. On May 3, "Les Dalton" is released on the side A in a jacket without any side indications. The disc is a summer success. It will be the last Dassin's EP and his last "comic" song, either. Joe's creations of a kind that followed will be performed by his friend Carlos. After such a result Joe's team is in high spirits. Plait is totally obsessed by the idea of finding "strong" songs that would consolidate the success. He has already acted the same way with Sheila. On the contrary, Joe, relaxed, takes his time. He writes France Gall's "Bebe requin" which smashes the other song from the disc written by Serge Gainsbourg, having spelled the end for the collaboration between Serge and France. Joe is a popular crooner but he wants to record serious songs, too. In order to equalize the Daltons' attack, in the fall of 1967 he records a Bobby Gentry blues, "Ode To Billy Joe", which becomes "Marie-Jeanne". Rivat carefully translates the song from English. More corresponding to the previous hit and written as usual by Rivat, "Tout bebe a besoin d'une maman" is represented on the side B. And even if the side A tune is an obvious commercial risk, it is good for the singer's image. In the beginning of October Arthey conducts the orchestra during recording sessions in London. Joe records vocals in Davout. It takes him two weeks and results in 200 versions for "Marie-Jeanne"… with the first chosen for the disc. The latter is released on October 17, for the second time with a drawing on the jacket. The radio stations favor the side B over the side A. Joe begins to realize that he is probably too handsome and too young for singing some tunes. He understands it but will never accept the fact. At the same time Joe records the rest of the songs for the second LP (called now "album") - two new tunes with lyrics written by Claude Lemesle and four American originals. This is a smashing novelty on the French market. The LP is released in November just before the holidays. Joe's success confirms day by day but he has to "transform" his daring attempt, to become a number one of hit-parades. During a trip to Italy with Jacques Plait where Joe promotes five of his songs, he also listens to "potential" tunes. This American who has never looked for cover versions anywhere but USA would probably find something in the country of mandolins. Joe and Jacques come back home with a suitcase of records. By February 19, "l'equipe a Jojo" reunites in London. Their aim is recording a megahit. In the De Lane Lee Music recording studio on 129, Kingsway the atmosphere is electrified. Four songs are recorded. One of them is a cover version of a tune found in Italy, another - "La bande a Bonnot" - an original with Rivat's lyrics. A few days later, during the vocals recording sessions the excitement reaches its peak. Plait has a presentiment of something really incredible. On March 4, two singles, with two songs on each, appear on the market almost simultaneously. The rebellion grows in France. General de Gaulle is trembling. Unlike the catcalled ye-ye singers who have to go to exile, Joe becomes a "revolution" hero. Whole France whistles on the hill, a little bouquet of wild roses in hand. Spring and summer come and Joe's songs are broadcast by all radio stations. The only problem of these revolutionary times is the music stores replenishment. Joe makes the most of a situation recording his two first songs in Italian on April 29. These tunes appear on the peninsular market in June. He also extend his contract with the CBS on June 26 and starts a promotional tour in Italy two days later, on June 29. As both of the ORTF channels are occupied by the students taking part in a demonstration, the French music takes its refuge on the RAI. While in Italy Joe gets acquainted with Carlos and Sylvie Vartan whom he met on a ship. Carlos will become one of his best friends. This friendship will strengthen in the course of a report from Tunisia made for a popular magazine Salut Les Copains, known as SLC. By September the CBS gets a new press attache, Robert Toutan. From now on this latter will watch over Joe's image. In November Jacquot and Joe go to London to record sound and come back to Davout Studio for vocals. They record four songs, three of them are hits. Like two previous discs the two new singles are a double-shot. They are released at the same time in November. "Ma bonne etoile" is an Italian original rewritten by Delanoe. "Le temps des ?ufs au plat" lyrics belong to Ricky Dassin and Claude Lemesle. On the other side is represented "Le petit pain au chocolat", another Italian song adapted by the same Delanoe. The disc industry is undergoing a serious crisis and the CBS does not release the disc for the holidays. But on November 10, Joe sings "Ma bonne etoile" in the "Tele-Dimanche" TV program and France capitulates. The end of the year is explosive. In bakeries throughout France the chocolate rolls are in great demand. Along with Pagnol's famous movie, Joe's song makes the bakers' profits increase dramatically. Some of them even change the inscriptions on their signboards to "Chocolate Roll's", making obvious that Joe is much more than just another singer. From now on he is a social phenomenon. The CBS is unable to meet the demands of the record shops and an English-speaking group, the Tremeloes, makes English versions of Joe's "Italian" songs. On November 26, Joe and Jacques, excited to the point, fly to Montreal via New York. Three days later they start a week of interviews in Quebec: Montreal, Trois Rivieres, Quebec, then Ottawa in the English-speaking part of Canada. They receive a hearty welcome everywhere. The promotion is fantastic. Everything is all right except for the increasing demands from the music stores. The Orly runway and the windows of big supermarkets are decorated with neon lights. Christmas is coming. Joe is back. Together with Maryse they celebrate Nativity in their new five-rooms apartment on rue D'Assas and dream of a child.